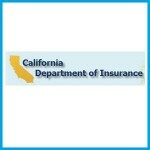 SACRAMENTO, Calif. – The Centers for Medicare and Medicaid Services at the U.S. Department of Health & Human Services announced today it awarded a $1.84 million grant to the California Department of Insurance to enhance enforcement of key market reforms under the Affordable Care Act. enhance existing enforcement processes of parity in coverage of mental health and substance use disorder benefits under the Mental Health Parity and Addiction Equity Act of 2008. The department will use the two-year grant in areas such as market conduct examinations, consumer complaint investigations, enforcement of the laws relating to parity in mental health and substance use disorder benefits, preventive services, and medical loss ratio compliance. In some areas, the department will contract with medical professionals whose clinical expertise will assist the department in enhancing existing enforcement of the law. The grant period is from 10/31/16 – 10/30/18. The Centers for Medicare & Medicaid Services (CMS) awarded approximately $25.5 million to 22 states and the District of Columbia to use for enforcement and oversight of issuer compliance with select Affordable Care Act (ACA) key consumer protections. 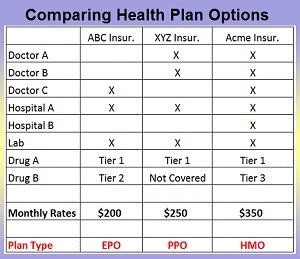 These awards allow states to use the funding for activities related to planning and implementing selected Federal market reforms and consumer protections including: essential health benefits, preventive services, parity in mental health and substance use disorder benefits, appeals processes, and bringing down the cost of health care coverage (also known as medical loss ratio (MLR) provision). These additional grants will help support State Departments of Insurance efforts to make sure their laws, regulations, and procedures are in line with Federal requirements and that states are able to effectively oversee and enforce issuer compliance with consumer protections guaranteed by the ACA. State Departments of Insurance are vital to the oversight of health insurance issuers and are responsible for ensuring premiums are reasonable and justified, companies are solvent, and consumers are protected. Approximately $21.6 million is being awarded to assist State Departments of Insurance in planning and implementing select key insurance market reforms and consumer protections (see Table 1 for a breakdown by market reform). The remaining funds will be used towards other allowable expenses under the grant to fund other activities that are not directly related to planning or implementing a single market reform, but that extend across all of the select key market reforms (such as travel, supplies and equipment, and indirect costs). The grant will have a project and budget period of 24 months from the award date, October 31, 2016, to October 30, 2018. Each applicant awarded a grant will receive a minimum baseline amount of $476,998 (see table 2 for award totals by state). However, some states chose to request less than the minimum baseline amount. In addition to receiving a baseline award each applicant awarded a grant will also receive funding for the “Selected Market Reforms” and “Workload” funds. Workload funds are determined based on the population and number of health insurance issuers in the State.